Drone Transportation: Who's in the Race? Drones are proving to be useful data gathering tools and a blessing for professional filmmakers. But arguably the boldest aerial plans can be found in the transport industry, where several companies are scaling up their drone ambitions. The goal is to develop unmanned aircrafts capable of ferrying small groups of people or, in some cases, a single passenger, from one place to another. Whether these plans will turn into an on-demand ride service or an exclusive means of transport for the super wealthy remains to be seen. So who's in the race to develop a fleet of drone taxis? Chinese manufacturer Ehang was one of the first companies to stake a claim in the emerging drone transport business. A prototype of the 184 passenger drone wowed crowds back at CES 2016. Since then, Ehang has developed the concept into a genuine product, even though the company's consumer drone business has largely gone under. The most recent update from Ehang on the progress of the 184 project was in February. The company released impressive footage of manned flight tests, which included a cockpit ride for CEO Huazhi Hu. Aerospace giant Airbus also made a claim in the drone taxi space in February, announcing that its Vahana project - another electronic VTOL aircraft - had completed successful test flights in Oregon. According to Airbus, "Vahana aims to democratize personal flight and answer the growing need for urban mobility by leveraging the latest technologies in electric propulsion, energy storage, and machine vision." In April 2017, German startup Lilium introduced yet another passenger drone to the market. But instead of scaling up a regular quadcopter, the Lilium Jet is a fixed-wing aircraft with wings that pivot to transfer propulsion between horizontal and vertical planes. Unlike many of its competitors, the design makes Lilium capable of both VTOL and jet-powered flight. The company claims that this feature makes Lilium more feasible from an energy-saving standpoint. The Lilium Jet uses 90% less energy than a supersized drone-style aircraft. Arguably one of the most significant moves in the drone transport space was Intel's investment in another German startup, Volocopter. The partnership was a show of confidence from a technology giant already heavily invested in the drone industry. Since that investment, the 18-rotor Volocopter VC2X has been flown on stage at CES 2018. Volocopter is arguably ahead of the rest in terms of development. The company has been working on aerial transport technology since 2011, and has penned a long-running partnership with the transit authority in Dubai to test its passenger drones. Volocopter's 2X has a flight time of 30 minutes and a maximum range of 17 miles - certainly enough to help ease urban congestion. In March 2018, Google co-founder Larry Page revealed that he had been working on passenger drone technology in the shape of startup Kitty Hawk. Having conducted secret testing under the name of Zephyr Airworks, Kitty Hawk is now seeking regulatory approval to launch an autonomous passenger-drone system in New Zealand. The company's air taxi, Cora, is an electric-powered, 12-rotor drone-plane hybrid that can take off vertically and fly at up to 110mph for 62 miles at a time. The idea of flying taxi services used to belong to the realms of science fiction. But all of these companies (and a few others) are set on making it a reality. No doubt there are regulatory hurdles in place. And there will always be concerns over safety. But there's no denying the technology is exciting. Want to find out about other surprising uses of aerial technology? Take a look at our post exploring the 8 weirdest uses for drones. 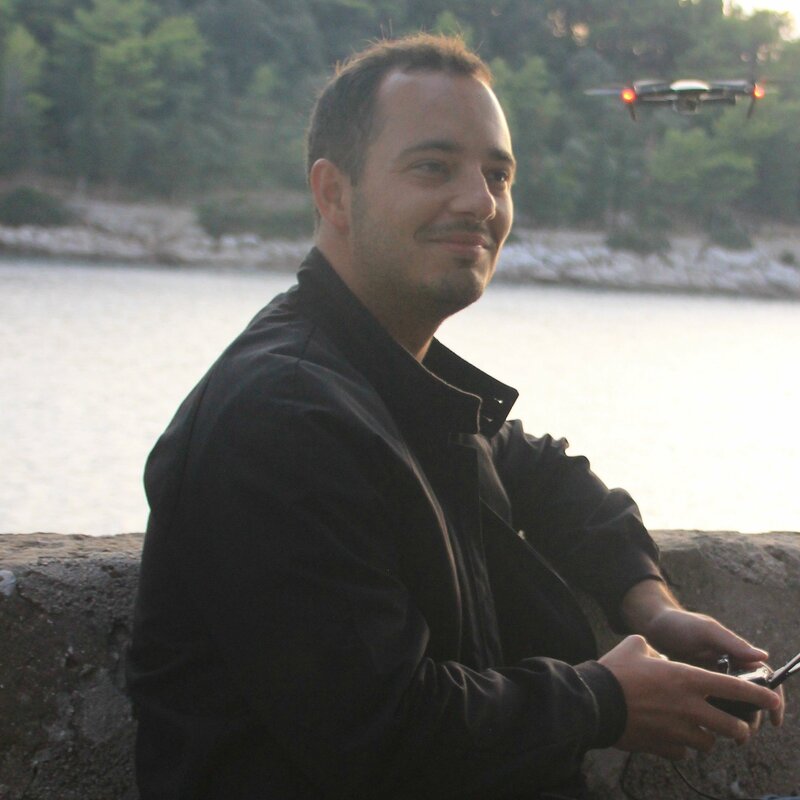 Malek Murison is a technology journalist based in London who covers drone industry news and product reviews for DroneLife. He's written features for the Financial Times and words for some of the drone world's most exciting startups. In "Drone Industry", "drone news", "regulations"
In "Drone Industry", "drone news", "Drone Pilots"
In "Drone Industry", "drone regulations", "drones"